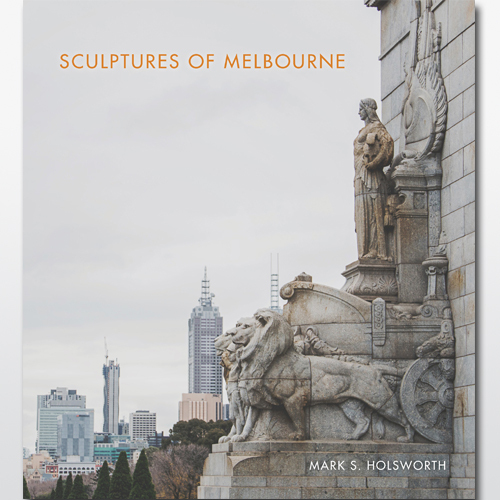 Sculptures of Melbourne explores major changes in the nature of public sculpture. When Melbourne was established, sculpture was heavily influenced by the colonial legacy of neo-classical bronze and marble statues. From 1980 onwards, public sculpture changed dramatically, not only in style but in materials, location and sheer numbers. This book, which includes controversial modernist sculptures such as ‘The Yellow Peril’ as well as unofficial laneway installations, tells the story of how the shifting trends in public sculpture moved from a classical style, to commemorative, to a corporate modernist style, to being integrated into urban design, and finally evolving into a contemporary style, which is non-traditional and temporary. You are right Kerry. I must correct it. Is it incorrect in the original media release? I must check that out. Thanks. I think the media release was right, can’t remember now where I checked it! Cheers James and that’s for the instagram plug. Lots of recycled sculptures, as well as sculptor’s material. Sculptor’s clay is always recycled. I haven’t seen any environmental analysis of the impact of different types of sculptures.